Kelly Creates PURPLE Practice Journal 346412 at Simon Says STAMP! 346412 This item is on reserve until If you would like to reserve this item now, you may purchase it now with the rest of your order. We will hold your order now and ship your entire order as soon as this item is back into stock. If you would like your order to ship now, please place this item on a separate order. 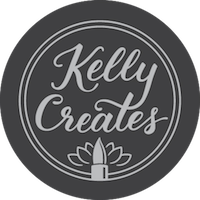 Success, Kelly Creates PURPLE Practice Journal 346412 has been shared! This practice journal is perfect for practicing your hand lettering on the go! It features a beautiful embossed, suede cover and a removable 20-page grid paper insert, so that you can keep calm and create beautiful handwritten phrases over and over again. This journal measures approximately 5.5 x 8.25 inches.